I'm confused Tesco, can you explain dairy and milk free? There has been something which has been bugging me for a little while. Tesco own brand Free From range recently had a little make over. I do like the new bold allergy labels (pictured above) but I have been scratching my head over the dairy free and milk free logo. As far as I am aware dairy and milk free means the same e.g exclusion of milk, so I am curious why Tesco are labelling products in this way. 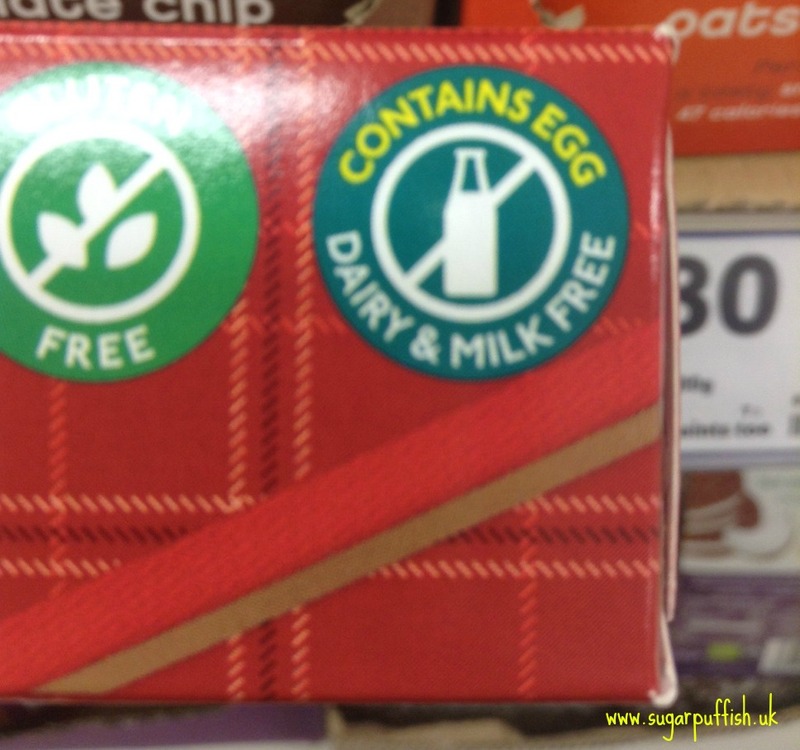 It crossed my mind if it had something to do with people thinking egg falls under the dairy category (FYI it does not) but Tesco are using a separate logo for egg free/contains egg (or combining it as per picture below). As a side note, I am very pleased to finally see a statement about egg included on the front of packets. I wonder if Tesco are addressing that both terms are used by people avoiding milk and they are simply covering for language differences? Could it be that free from dairy is another way of saying there is no animal milk in this product, a catch all term for anyone not only avoiding cows milk but also sheep and goat etc? 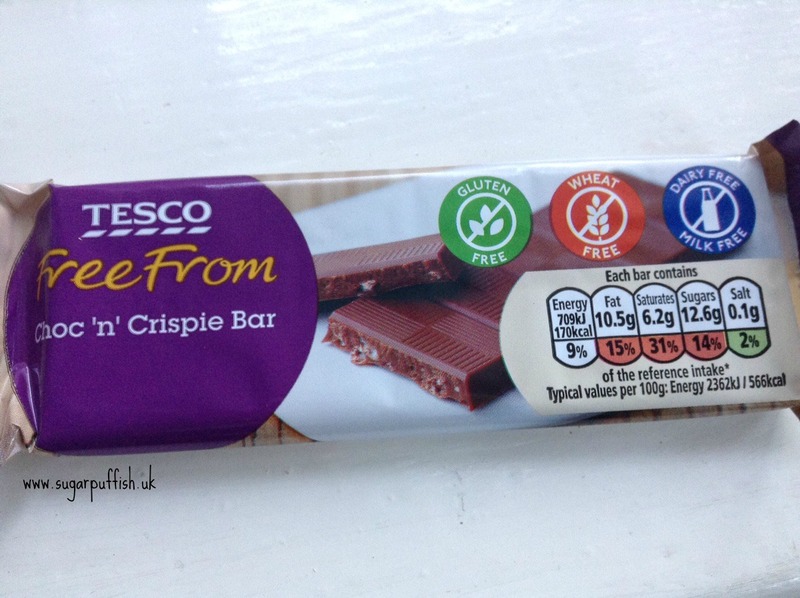 I have been considering if this logo confuses non-allergic shoppers, if a friend bought me the chocolate bar would they worry about whether it was suitable for me? What do you think? Am I making a fuss over nothing or are you as confused as I am? I mentioned this morning on Twitter that I thought moving to milk free would be better, as you mentioned milk is the allergen and that would fit in better with the new EU regs. I had not considered the "contains egg" warning, interesting that you should point that out. Personally I have always had trouble with the term milk free. I understand that milk is the term used by the EU regs but I would prefer to see dairy, lactose, goats milk etc. in the ingredients. For someone who is allergic to dairy but fine with goats milk surely the new term would be more difficult? When looking for ingredients I would like to know which food source the ingredients originate from i.e. cow, goat, sheep, buffalo or even camel! I am really pleased to see egg free being printed on the front of a packet but don't think it should be included on a dairy free and milk free logo as that only encourages people to put egg and dairy in the same category. Milk from an animal other than cow has to be declared as being from that animal in ingredients. Milk as an allergen means all mammalian / animal milk. Allergy to cow's milk but not goats milk is extremely rare, last time I looked at the research, though many self diagnose otherwise. I agree. That is confusing. If I was an 'average' shopper buying for someone who is lactose free etc then this would baffle me more. Maybe milk free means free from any milk be it cow, soya, almond etc? Yes a few people mentioned about lactose on my Twitter. I would view milk free as being free from all animal milks but it doesn't necessarily mean everyone sees it that way. In all the discussions on these logos what is clear is there doesn't appear to be a common ground for what dairy free or milk free means to people.